Over the years, people have submitted loads and loads of requests to Microsoft, in order to get their desirable features included in the latest iteration of Windows. So finally, Microsoft seems to have started cracking up on the list by providing some really cool features on Windows 10. Windows 10 as an operating system is really advanced and comes with great features like Cortana, a new revamped Start Menu and more. Most of the Windows 10 users are extremely happy with the changes that Microsoft has brought into Windows 10. They removed some irritating features like the Charms Bar etc. 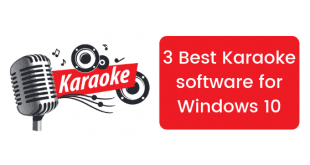 that they introduced on Windows 8 and have provided a great operating system that is suitable for both desktop as well as touch based systems. When Microsoft, contrary to popular opinion, removed the Aero Glass Transparency feature from Windows 7 when they launched Windows 8, the public had to use certain third party software’s to bring it back to their PCs. 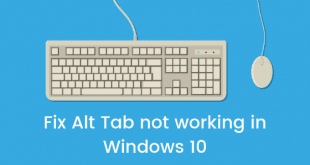 But here’s one more thing that Windows 10 users can be happy about. Windows 10 users do not need to go looking for any third party applications or special customization modes to enjoy the Aero Glass and blur effect. Windows 10 will already come included with this really cool feature. But, there’s a catch! (Of course, there is). There is no direct way of enabling transparency for Start Menu on Windows 10. You need to edit a few Windows Registry entries in order to enable it. Actually, Microsoft is taking help of a simple Registry key to disable Aero glass and blur effects on Windows 10. We can easily modify this Registry key anytime to enable or disable aero glass and blur effects on Windows 10. 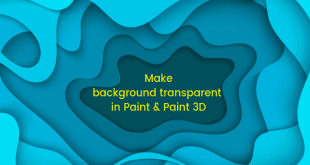 Go through these following steps to activate, enable to see the Aero Glass Transparency with Blur Effect in Windows 10. Before performing any registry edits we highly recommend to take backup of your system registry. Go the Run, Type Regedit in RUN or the Start Menu Search Box, and then proceed to press Enter. In right-side pane, look for a DWORD EnableBlurBehind. Close Registry Editor and restart, log off or restart Explorer as given to take effect. If you follow the steps just the way they’re mentioned here, it will enable the Aero Glass Transparency on your PC. In the future, if you feel like disabling the Aero glass feature (though that rarely happens), all you’ve got to do is simply change the value of EnableBlurBehind DWORD to Zero (0) again. 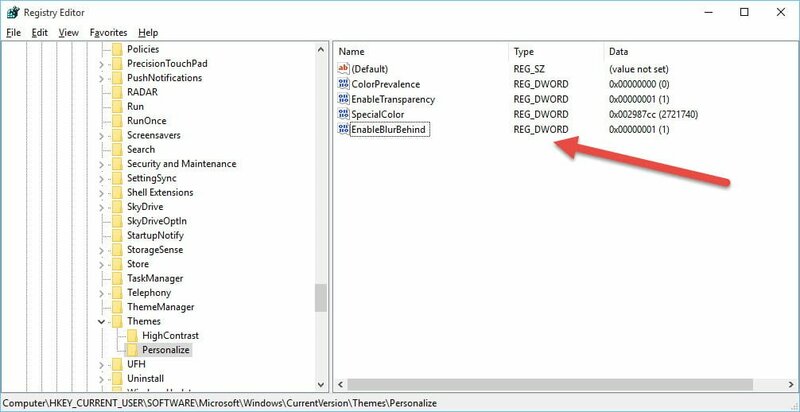 So, you see the availability of aero glass transparency in Windows 10 is currently decided by the above-mentioned DWORD in the Windows Registry. If it’s set to 1, then you’ll get the glass and blur effects. If it’s set to 0, you’ll get normal transparency without glass and blur effects. So, these are the following ways in which you can obtain the Aero Glass feature for your PC! Do let us know if you were able to enable transparency in Windows 10 using this method by leaving a comment below. 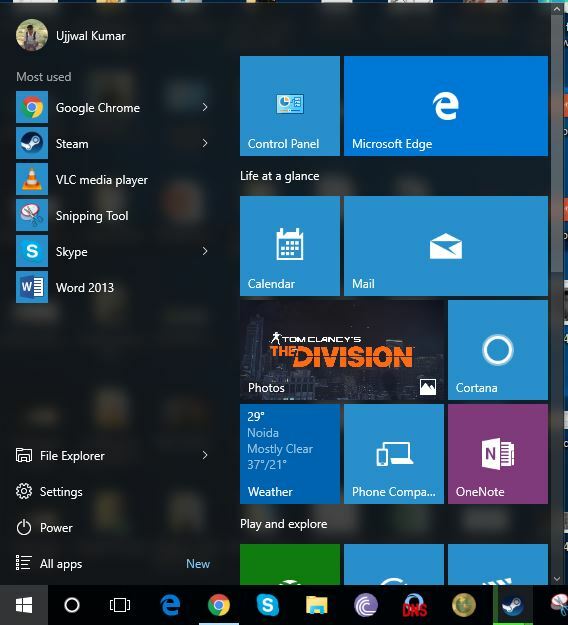 You can also check our other article by great tips & tricks to customize windows 10 start menu.